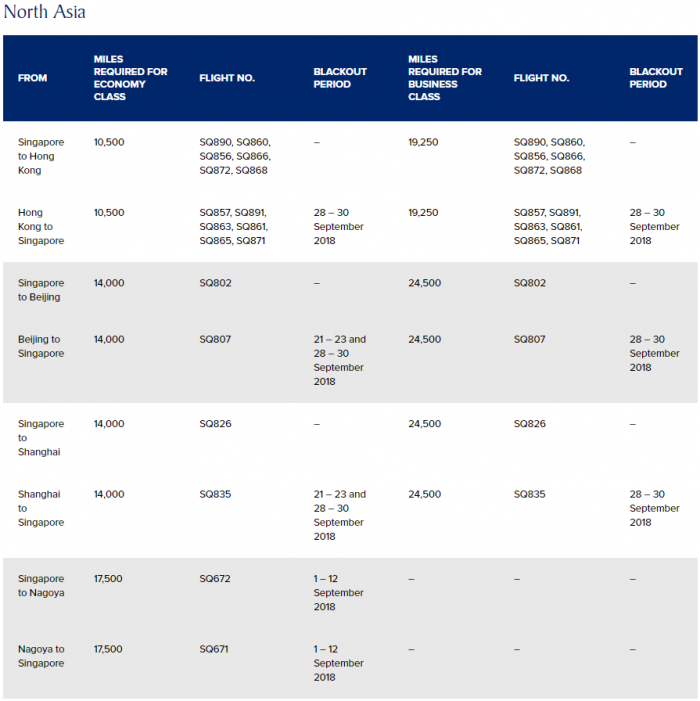 Singapore Airlines has launched their latest Spontaneous Escapes that are valid for travel between September 1 – 30, 2018. 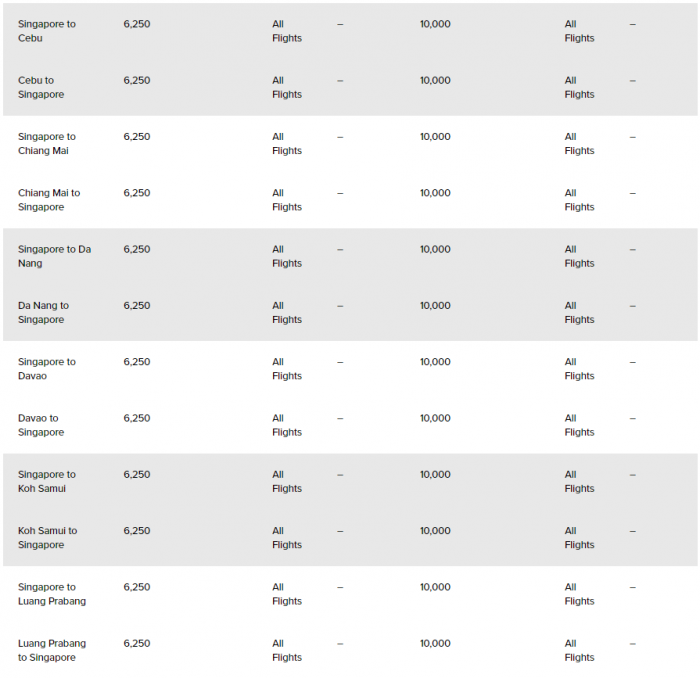 These awards valid on travel both Singapore Airlines and SilkAir on select routes are discounted by 30% on SQ and 50% off of MI flights and needs to be booked by August 31st. These are good way to burn KrisFlyer miles at a slight discount now that the online booking discount is long gone. 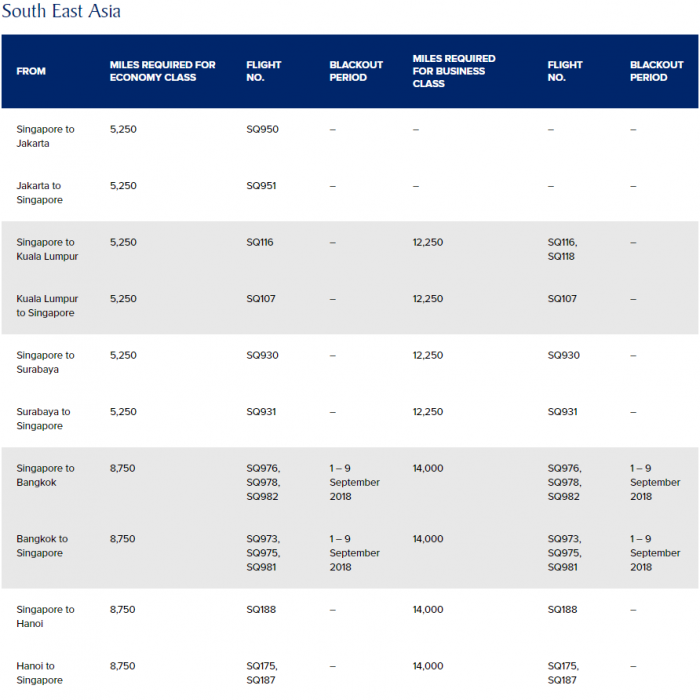 Singapore Airlines tries to basically get people to book flights where they might have some light loads and wouldn’t mind people to burn miles (and take off some miles from their books). 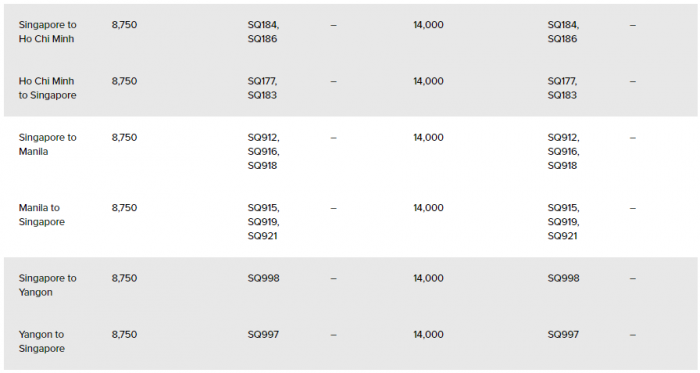 The promotion is only applicable for online redemption of Saver Awards in Economy and Business Class on selected Singapore Airlines and SilkAir operated flights. 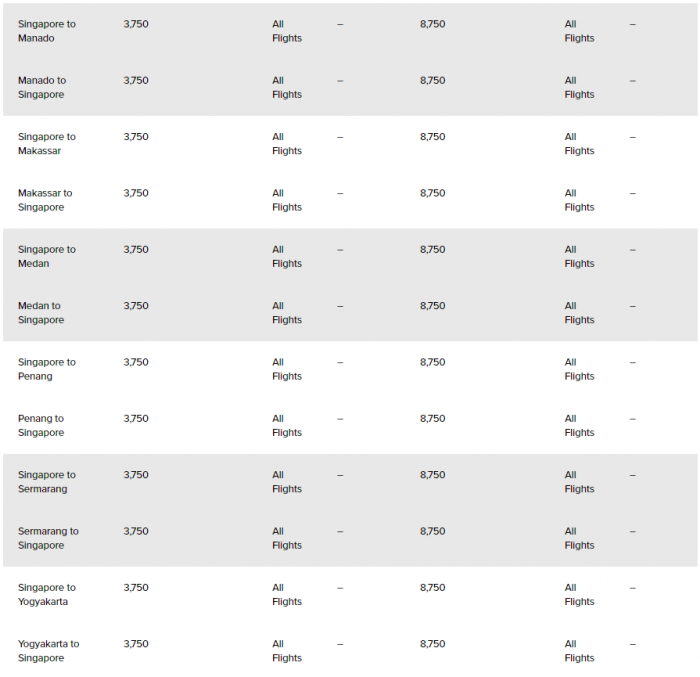 Eligible bookings can only be made through singaporeair.com. This promotion is not available through KrisFlyer Membership Services, SIA Ticket Offices, travel agents, SilkAir.com, or any other channels. 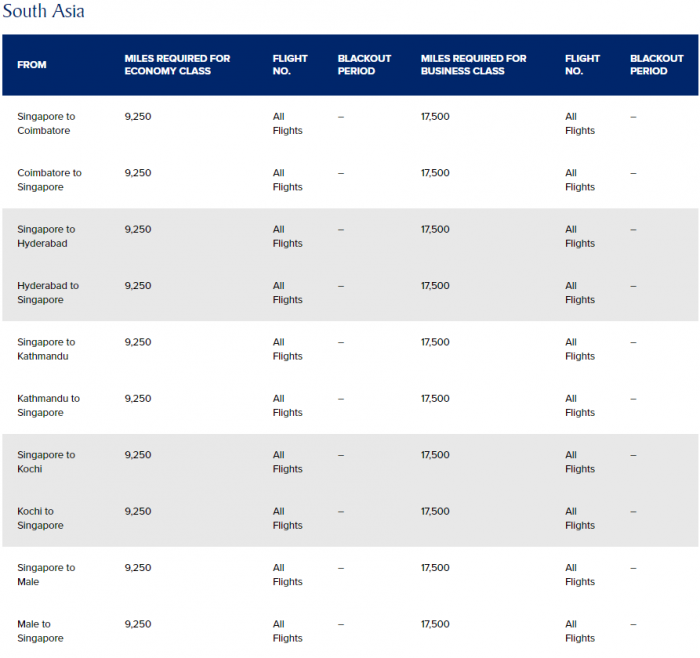 To qualify for the promotion, tickets on SilkAir flights must be issued between 15 – 31 August 2018, for travel between 1 September to 31 October 2018, all dates inclusive and tickets on Singapore Airlines flights must be issued between 15 – 31 August 2018, for travel between 1 September to 30 September 2018, all dates inclusive. All travel on SilkAir flights must be completed by 31 October 2018 and all travel on Singapore Airlines flights must be completed by 30 September 2018. If any part of the itinerary falls outside the applicable travel period or contains an ineligible flight, the entire itinerary will not be eligible for the promotion. This promotion is applicable to one-way and round trip travel. No stopovers are allowed for this promotion.